Dental enamel is tricky stuff. Even though it's the body's hardest material, if it wears away from cavities, acidic food or drinks or overbrushing, it doesn't regenerate. Moradian-Oldak has received three new grants to continue her work. One grant will allow her to test the use of amelogenin-derived peptides in the gel. She explains that using short peptides—like the one she's using derived from the main protein in enamel—has a few benefits over longer ones: It's less expensive, and the path to getting this approved by the U.S. Food and Drug Administration is simpler. Peptides could be incorporated into a gel that could then be painted onto teeth eroded by early cavities or hypersensitivity. The second grant will continue the work to understand the basic structural biology of tooth enamel, and the third grant is the exploratory proposal, with the idea to completely use chemistry strategies to synthesize a material similar to enamel in its properties. "Our idea is to use these short peptides to eventually develop new filling material," explains Moradian, who works out of USC's Center for Craniofacial Molecular Biology. To test the new hydrogels, Moradian-Oldak has developed a method. She and her team of students—including Qichao Ruan, Kaushik Mukherjee, Gayathri Viskan and Amrita Chakraborty DDS '19—use a diamond saw to slice third molars (wisdom teeth) into uniform thin discs. They then paint the teeth with a clear nail polish, leaving only a small window of unpainted surface. The researchers then place the tooth slices in acid to demineralize the exposed parts, creating artificial cavities or lesions. Net, they put the hydrogel on those lesions and place the teeth in artificial saliva—made from calcium phosphate—to see how the gel promotes new growth on the enamel's surface. To test the hardness, Oldak teams up with a mechanical engineer with special machines. She also uses microscopes to analyze the regrowth's composition. Overall, she's testing her models against teeth treated with fluoride. "Our goal is to achieve properties that are comparable with natural tooth or other treatment modalities," she says. 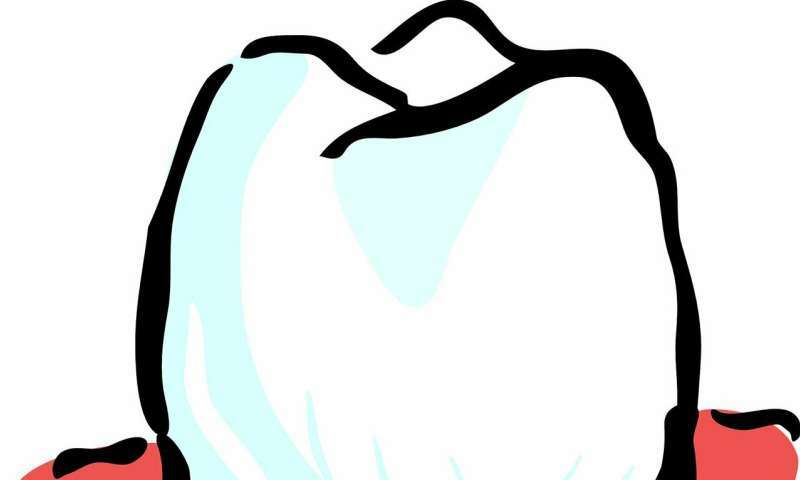 Fluoride is a cheap and easy way to make teeth stronger: it basically crates patches of calcium-phosphate deposits on top of the tooth, blocks the dentinal tubules. "Fluoride promotes mineralization, and it really helps, but it doesn't rebuild enamel the way our peptide does," Oldak says. "Fluoride is really about blocking the nerve, and our peptides are made in a biomimetic [lifelike] way." Oldak started off as a chemist with a background in biomineraliziation, studying the mechanisms that organisms use to make minerals in their bodies like teeth, bone, seashells or even kidney stones. "I wanted to expand the basic science into something translational, something that could be developed as a treatment," she says. Teeth were a perfect fit. Future patients would not be able to avoid going to the dentist altogether, she says. "We don't have an intention to jeopardize dentistry jobs," she says. "You would still need to go to the dentist. But the most important implication is really preventing deep decay by addressing lesions early, to rebuild the lost enamel."